Seriously, this needs your full and undivided attention. Discuss, if you like, in the comments. Disclosure: I liked The Incrementalists, the new novel by Steven Brust and Skyler White, enough to blurb it (specifically, the blurb says “Secret societies, immortality, murder mysteries and Las Vegas all in one book? Shut up and take my money.”); it also received a coveted starred review from Booklist, which said “Call it genius at work.” Not bad praise. Here are the aforementioned geniuses, Brust and White, to give you a little long-term perspective on their latest. If you’re a middle-class American with a conscience, it is easy to look around and say, “No one cares.” It certainly can seem that way. It might seem like you and your immediate circle of real-life and internet friends are the only ones who notice there’s a problem. The very idea of alleviating systematic oppression–much less solving it–might appear to you like a pipe dream. Perhaps you find yourself cursing the greater portion of humanity, calling them stupid, decrying their apathy. But try taking the long view: Over the course of human history in general, and US history in particular, the trend has been for more equality, more justice. We have built up productive forces to the point where there is no need for anyone to be hungry, or homeless, or without health care. Democracy and equality–though frighteningly threatened–are broadly considered natural rights. As a species, we are still in our infancy, yet we’ve made amazing progress. Progress is a thing. It can be very hard, and certainly there is backward movement at times. But there is no good reason to believe progress will stop. And we’ve progressed by working together. Yeah, sometimes we screw things up. Sometimes, as we look at history, we wish we’d done better. Sometimes we wish there was someone trustworthy with a long enough view to tell us what “better” even means. And maybe even someone who could do something about it. The Incrementalists, a secret society of around 200 people has, since the beginning of human history, been working to make the world better, just a little bit at a time. Their ongoing argument about how to do this stretches across nations, races, and time, but they’ve been messing (“meddling”) with people’s heads just as long. Able to draw from a collective experience of over forty thousand years, and skilled in triggering precise emotions in others, they pick pivotal moments to subtly nudge people to maybe do the right thing, or maybe refrain from doing quite as much of the wrong thing. So, if they were real (and, you know, you can’t prove they aren’t), how are they doing so far? You could say they’re doing pretty well, given all the catastrophes our species has avoided, how much progress we’ve made, and how many terrible things might have been even worse. Or you could say they are utterly ineffective, given how screwed up so many things are. They key word in all of that is: You. You get to decide. That’s the point, and that’s one of the things that made this project so much fun, because the big idea behind The Incrementalists is a question. It’s the “what if” question that got us writing, but it is also, if we’ve done our job well, a question we’ve seeded in the minds of the readers. Just how do you fit into all of this? 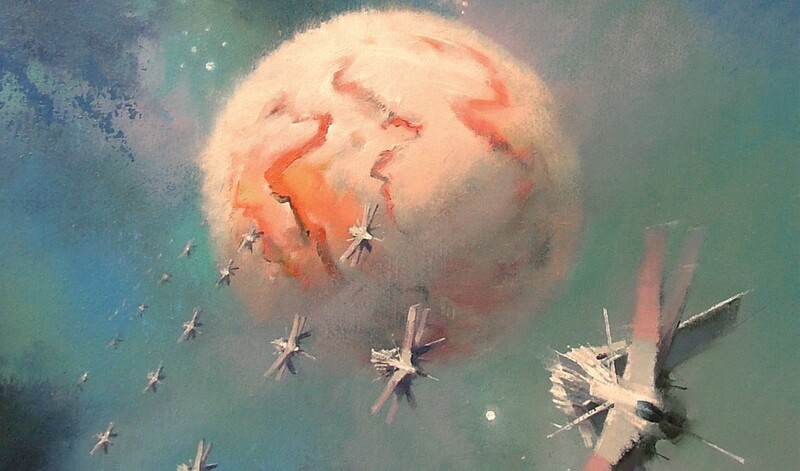 How do you choose to engage with the book, with the imaginary world in which it takes place, with the real world that the imaginary world is drawn from? 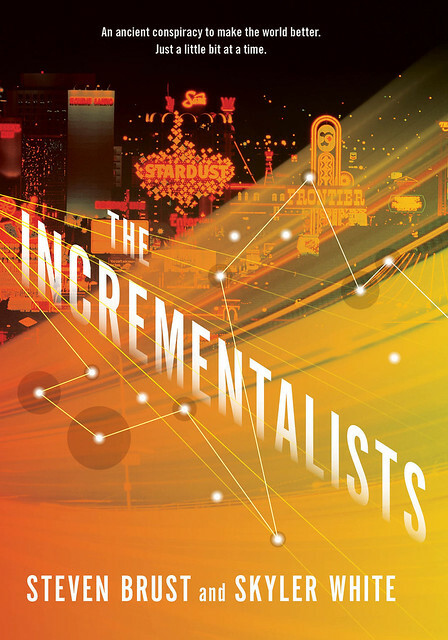 The Incrementalists often gets singled out as a collaborative project because there are two authors; but every book is a collaborative project. Just as the characters in The Incrementalists cooperate despite annoyances and conflicts, and just as its authors cooperated despite occasionally differing visions and expectations, this book—every book—asks readers to cooperate in the story-telling process. Writers need readers to shape the worlds they sketch, see the characters they imagine, hear what they’ve written and intuit what they’ve suggested. As has been said many times before by many people, there is no reason to expect what the reader sees to be what we see; indeed, there is no reason to expect what Skyler sees to be what Steve sees. They don’t have to be the same; they can’t be the same. What matters is that they can dance together. The writers, the editors, the art director and everyone in production, the voice actors for the audio book, the readers, and even the reviewers are part of the process that makes a book what it is. But it goes well beyond fiction. Collaboration, cooperation to make things better, is at the heart of what we human monkeys do. At the end of this book we, as one interviewer put it, “rap on the fourth wall.” And we do that in several other subtler places as well to make the same point – that this story is a metaphor for stories, and that how you want to engage with the book, with the ideas behind it, with the overall concept, and with the characters, is up to you. And that however you engage with it, you’ll be collaborating with us. We’ll be here, on other side, listening in case anyone knocks back. Read an excerpt. Visit Steven Brust’s site. Follow him on Twitter. Visit Skyler White’s site. Follow her on Twitter.